For the 13th year in a row, Hawaiian Airlines had the highest percentage of on-time arrivals of all U.S. airlines in 2016, according to a report just released by the U.S. Department of Transportation. 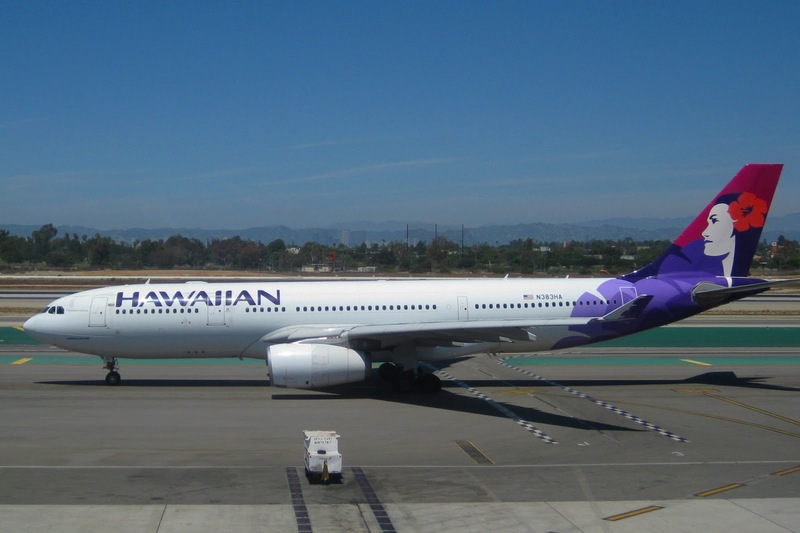 According to the DOT's Air Travel Consumer Report for December 2016, which also includes figures for the entire year, Hawaiian Airlines (NYSE:HA) was the No. 1 U.S. airline for on-time arrivals for both December and 2016 as a whole. Throughout all of 2016, 91.1 percent of its flights arrived on time while 85.1 percent of the carrier's flights arrived on time during December. An aircraft arriving at its gate less than 15 minutes after its scheduled time is considered an on-time arrival. The carrier has recorded the best on-time arrivals performance of all U.S. airlines since it first appeared in the report in November 2003. Seattle-headquartered Alaska Airlines (NYSE:ALK) was ranked No. 2 for on-time arrivals for the entire year. Its overall on-time performance was 87.3 percent for the year, though it was the No. 4 on-time carrier in December, with 76.1 percent for the month at all U.S. airports it serves. Atlanta-headquartered Delta Air Lines (NYSE:DAL) had the best on-time arrival record of the three legacy U.S. carriers and No. 3 overall for the year. During 2016, 86.5 percent of its flights arrived on time, while 81.4 percent were punctual during December, giving the carrier the No. 2 slot for the month. SkyWest at No. 4 for all of 2016, with 82.3 percent of its flights on time during the year. Wholly owned by SkyWest, Inc., (NASDAQ:SKYW), SkyWest operates regional flights under the banners of Alaska, American Eagle, Delta Connectiona and United Express. United Airlines (NYSE:UAL) at No. 5 for the year with 81.7 percent of its planes on time, followed by Southwest Airlines (NYSE:LUV) at No. 6 with a 80.8 percent on-time arrivals record in 2016. SkyWest subsidiary ExpressJet ranked No. 7 with 79.8 percent on time during the year, besting No. 8 American Airlines' (NYSE:AAL) annual on-time percentage of 79.4 percent. Virgin America ranked No. 9 for all of 2016 with a 76.2 percent on-time record, followed by No. 10 Frontier (NASDAQ:FRNT) at 76 percent, No. 11 jetBlue (NASDAQ:JBLU) at 75 percent and No. 12 Spirit (NASDAQ:SAVE) at 74.3 percent. The report also provided data for the airlines' performance at 29 of the nation's major airports for the month of December. As with all carriers, No. 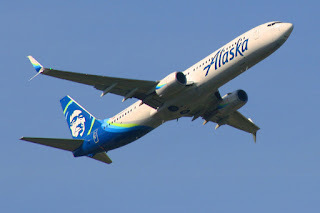 2 Alaska's on-time arrival performance varied by airport, with a low of 61.8 percent at Los Angeles International Airport (LAX) to a high of 93.5 percent at New York's John F. Kennedy International Airport (JFK). Alaska's on-time performance at both airports was better than either airport's overall on-time arrival performance. Throughout all of December, LAX saw 60.5 percent of arrivals come in on time, while JFK had a 77.7 percent on-time arrival record for the month. Hawaiian, the carrier with the best on-time arrivals record overall, serves only eight of the 29 "reportable" airports. In addition to its on-time arrival record, the report showed that Hawaiian had the smallest number and lowest percentage of cancelled flights among U.S. airlines in December. The report showed the carrier cancelled nine flight operations, or 0.1 percent of its scheduled 6,347 operations. The DOT's monthly report is divided into six sections (Flight Delays, Mishandled Baggage, Oversales, Consumer Complaints, Customer Service Reports to the Transportation Security Administration, and Airline Reports of the Loss, Injury, or Death of Animals During Air Transportation). The sections that deal with flight delays, mishandled baggage and oversales are based on data collected by the Department’s Bureau of Transportation Statistics. The section that deals with consumer complaints is based on data compiled by the OAEP’s Aviation Consumer Protection Division (ACPD). The section that deals with animal incidents during air transport is based on reports required to be submitted by airlines to the ACPD. The section that deals with customer service reports to the Department of Homeland Security’s Transportation Security Administration (TSA) is based on data provided by TSA. Each section of the report is preceded by a brief explanation of how to read and understand the information provided. The report is available at http://www.transportation.gov/airconsumer.